Driving with a revoked license ( DWRL) is a serious misdemeanor charge in North Carolina that may involve fines, seizure of your vehicle, additional time your license remains revoked, or possible jail time. If your license has been suspended for an alcohol related offense, speeding, or any other reason and you are charged with driving with a revoked license in Raleigh, NC it is important to contact an attorney to protect your rights. John McWilliam is the Raleigh Criminal Defense Lawyer you want representing you if you have been charged with driving with a revoked license. With nearly twenty five years of experience, John McWilliam is an experienced criminal attorney with the knowledge of the law you want on your side. Some falsely believe that a charge of driving with a revoked license is “no big deal.” Driving is an everyday activity, they reason, and most people drive regularly to work, school, running errands, for enjoyment, and many other reasons. Since driving is so common for the majority of the population, these folks reason that a simple court appearance or taking care of issues that may have led to their license being revoked will solve the problem. Nothing could be further from the truth. Driving with a revoked license can be charged as a Class 1 misdemeanor, which carries heavier penalties than an assault charge in some cases. If convicted of driving with a revoked license, a first offense sentence carries a minimum jail sentence of one day and a maximum of forty five days. When you are facing extended jail time, you want an experienced attorney by your side. John McWilliam has been a criminal defense lawyer in Raleigh since 1993 and has the experience you need handling your driving with a revoked license charge. In addition to jail time, other penalties may occur, such as further time without a valid license, fines, the seizing of your vehicle, increased auto insurance rates, and other issues that seriously affect your employment, education, and other aspects of everyday life. With so much on the line, you need a knowledgeable criminal defense attorney. John McWilliam is the Raleigh Criminal Defense Lawyer that will carefully examine all aspects of your case. 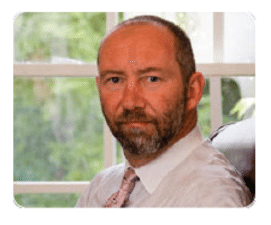 John McWilliam has experience challenging the legality and reasons for the stop that lead to your being charged, which can lead to charges being dropped. John also has experience fighting to reduce charges. If you live in Raleigh, NC and have been charged with driving with a revoked license, contact or call 919-772-4000 for criminal defense attorney John McWilliam. The initial consultation is free. Let John McWilliam start helping with your Raleigh driving with a revoked license charge today.